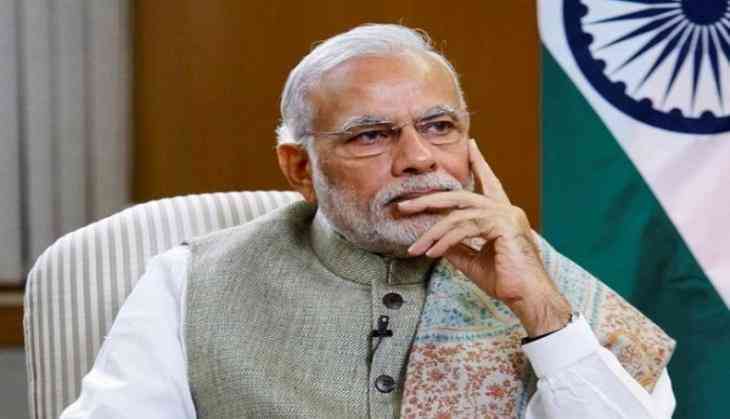 Prime Minister Narendra Modi on 25 July showed dissatisfaction over the Bharatiya Janata Party (BJP) MPs in a parliamentary party meeting regarding the Presidential elections voting, after votes of a large number of MPs and MLAs were cancelled in the presidential election. At least 77 votes were cancelled of which 21 are MPs. The Prime Minister said that in the National Democratic Alliance (NDA) meeting a day before the election, it was explained in detail through a TV monitor how to cast votes. Despite this, votes of several MPs and MLAs were cancelled. Prime Minister Modi further said that such MPs did not meet the expectations of the people of the area who selected them. Earlier in the day, Prime Minister Modi once again cracked a whip on BJP MPs with regard to their attendance in the Parliament. While addressing the BJP Parliamentary meeting, Prime Minister Modi said that he is still not satisfied with the attendance percentage of the BJP MPs and that there was an urgent need to overcome the flaw. The Prime Minister especially underlined the absence of the BJP MPs in the Rajya Sabha, sources state. The Prime Minister also took the occasion to discuss the celebration plans of the 70th Independence Day. "Our Prime Minister said that this year, there will be nationwide celebrations starting from August 9 till August 15. After which for 15 days, a sankalp yatra will be conducted throughout the nation, pledging the development of the nation and every individual," Parliamentary Affairs Minister Ananth Kumar told the media.